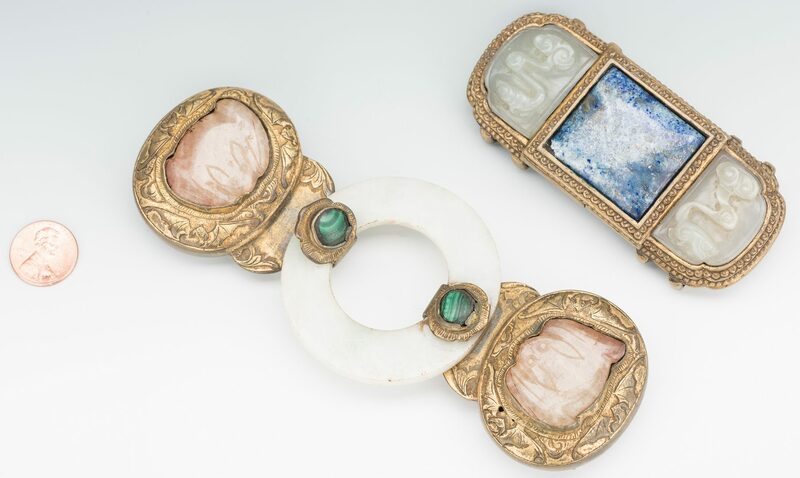 1st item: Chinese jade, hardstone and gilt bronze belt ornament comprised of two parts, with center blue stone flanked by celadon jade stones with carved lingzhi mushroom decoration, all inset into a gilt bronze base (1 1/2" H x 3 1/2" L). 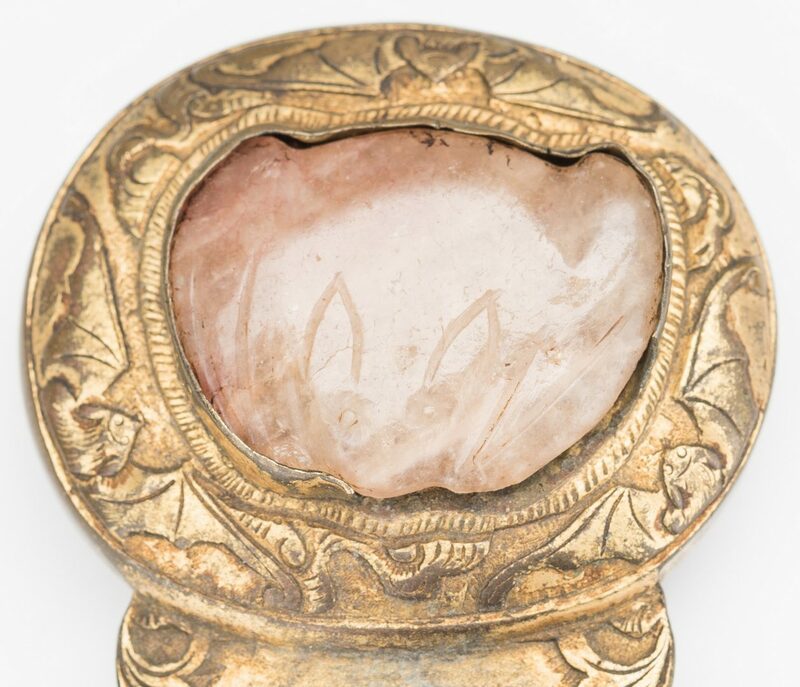 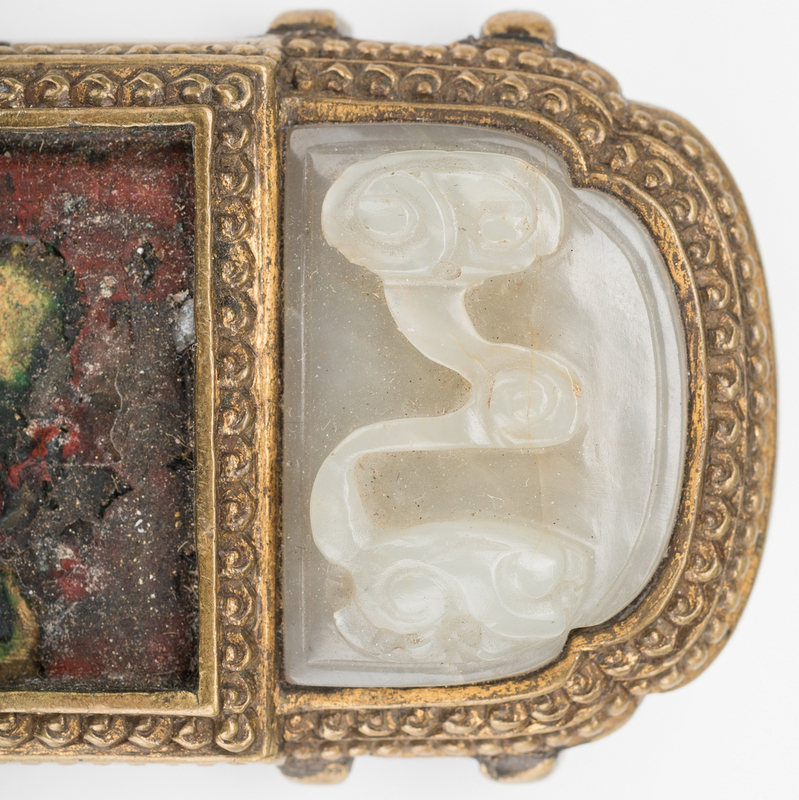 2nd item: Chinese jade, hardstone and gilt bronze belt ornament comprised of three parts including a central celadon jade plaque flaked by pink quartz carved bats inset into carved gilt bronze foliate bases, (2 1/2" H x 6" L). 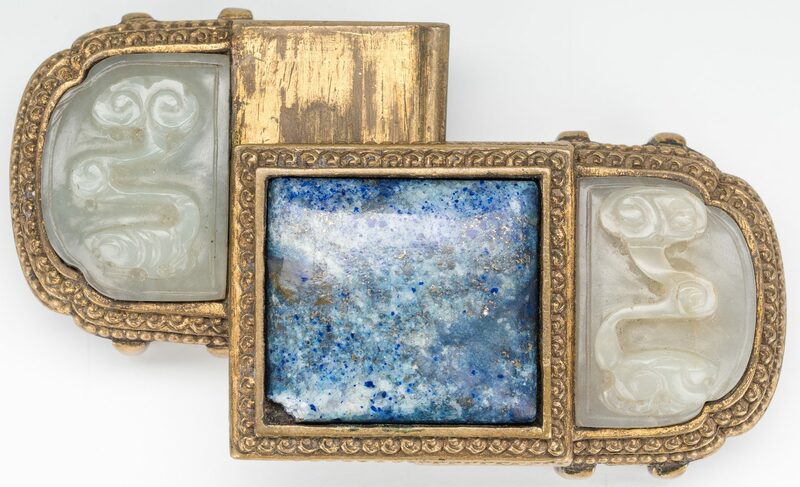 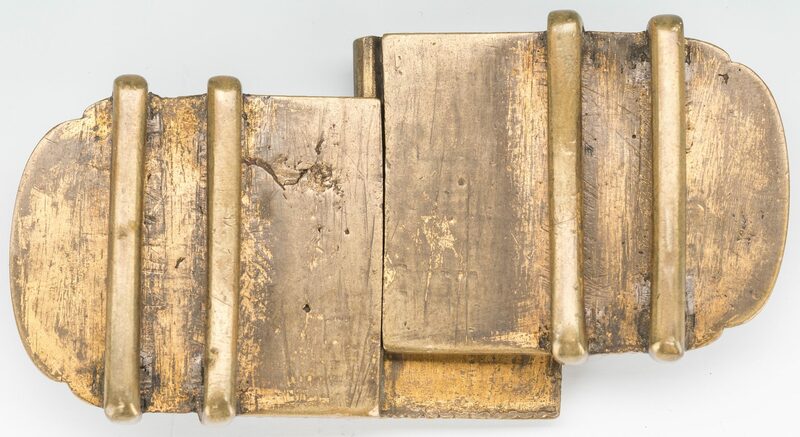 Both buckles late 19th/early 20th century. 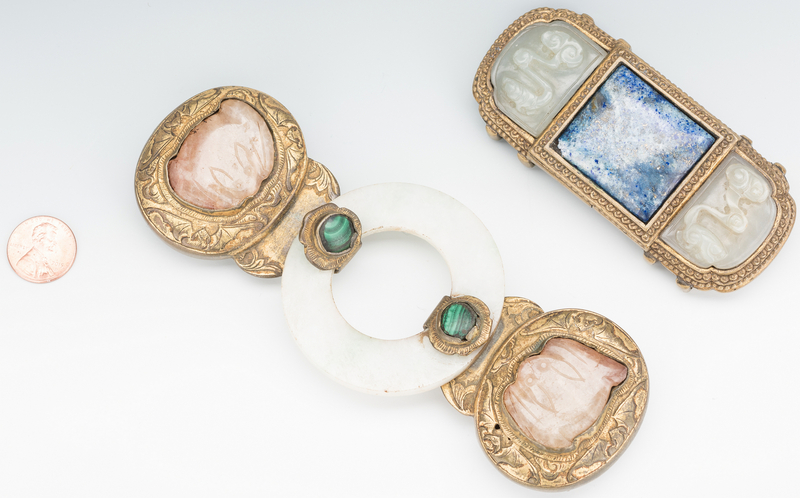 Provenance: Private West Tennessee collection. 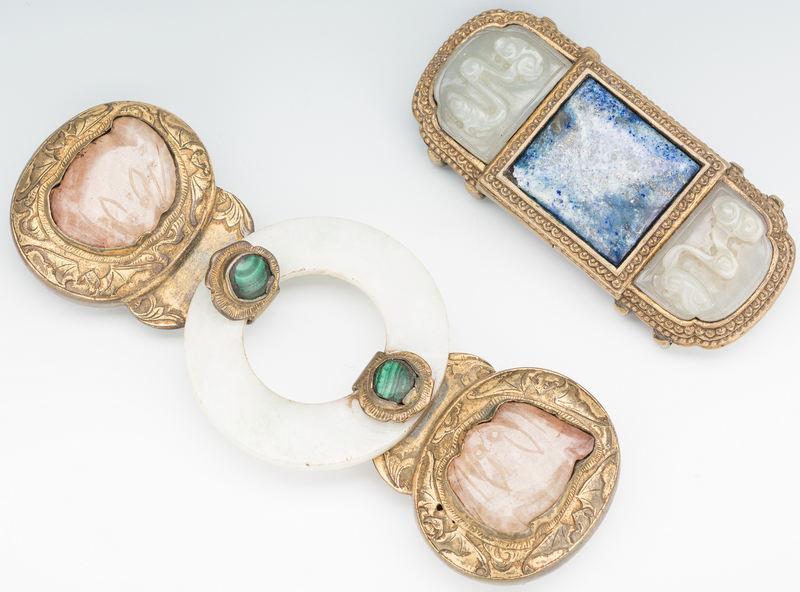 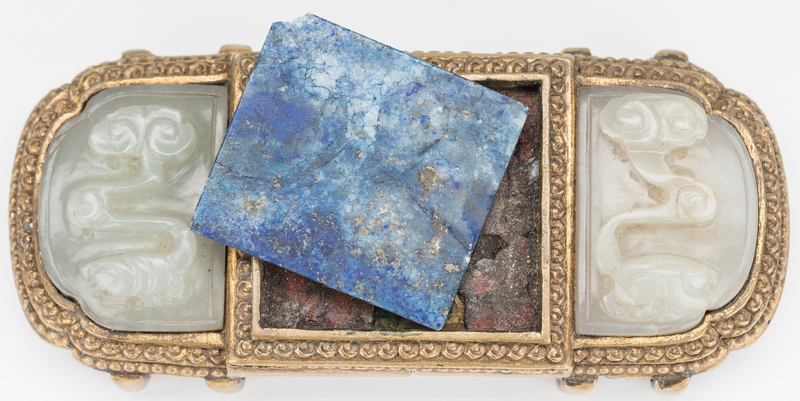 CONDITION: 1st item: Center blue stone loose from mount, chip to one corner, losses to gilt on bronze mount. 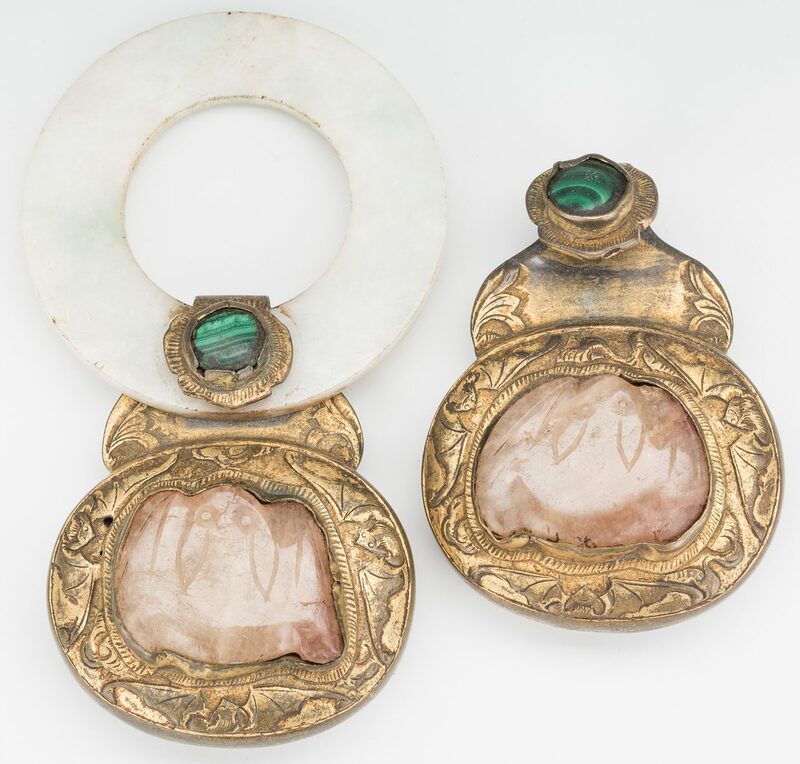 2nd item: Wear to perimeter of jade ring, losses to gilt on bronze mount.